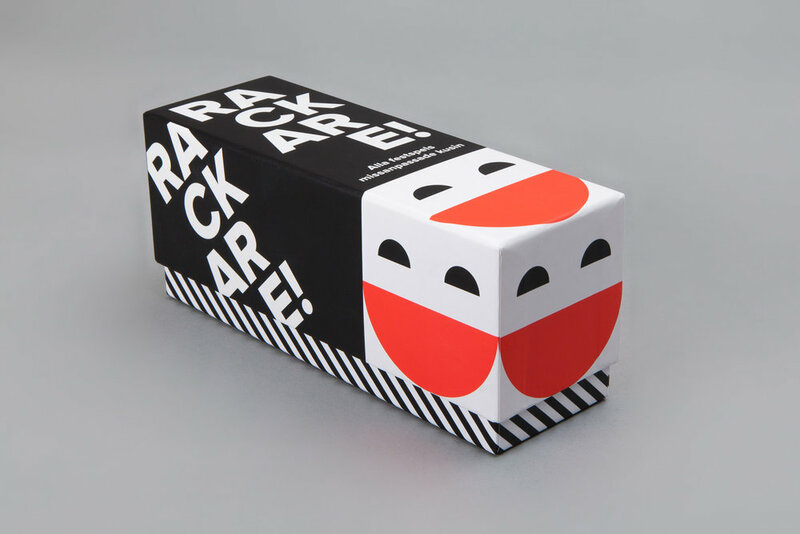 "The black-and-white-cards-theme is very appropriate, since it's simplicity goes well with that of the game. However, I felt the game needed a cheerful vibe so the black-and-white got paired with the big smiling logo in a clean minimalist design based on three colours. A third of the cards are white, two thirds are black and hence the top lid of the box has the same proportions of black and white. Its width is also one third of its length. Both these features create a number of fun ways to display the game in stores."